What is it Like to Live In Mountain View, CA? To some, living on the west coast seems like a distant dream. To others, it is their day to day reality. With new luxury apartments available in Mountain View, CA, those residing in the state and those hoping to move here have a new opportunity to live in one of the best locations available. Why's that? What makes Mountain View so great? Take a look! Here's what it is like to live in this fantastic area. Many make the daily commute here in California. With all of the major business and start up companies offering high paying jobs, it's just a necessity. Thankfully, Mountain View offers an incredibly short drive to work in San Mateo, Sunnyvale, Santa Clara, Cupertino, Redwood City, and Milpitas. Gigantic companies such as Facebook, Google, and Apple are all found in these nearby locations, as are various types of fantastic jobs. You'll have access to a company that can appreciates your skills. Aside from work, Mountain View also touches the San Francisco Bay, and is a short distance away from some amazing hiking at Black Mountain. Its location really can't be beat. Looking for some exquisite restaurants? We've got it here. Large bookstores? We've got those, too. A weekend Farmer's Market? Check. Plenty of parks and outdoor recreation? Yup, we've got it. Shoreline Amphitheater? Right by the bay! Summer festivals? In abundance. Performing arts center? You can find that here, too. Whatever it is you are looking for, you can find here in Mountain View. That's one of the best parts about this area. Diverse, and smaller than the neighboring mega-city of San Jose, or the further up San Francisco, the area has all the feel of the city without leaving you lost in the hustle and bustle of the streets. 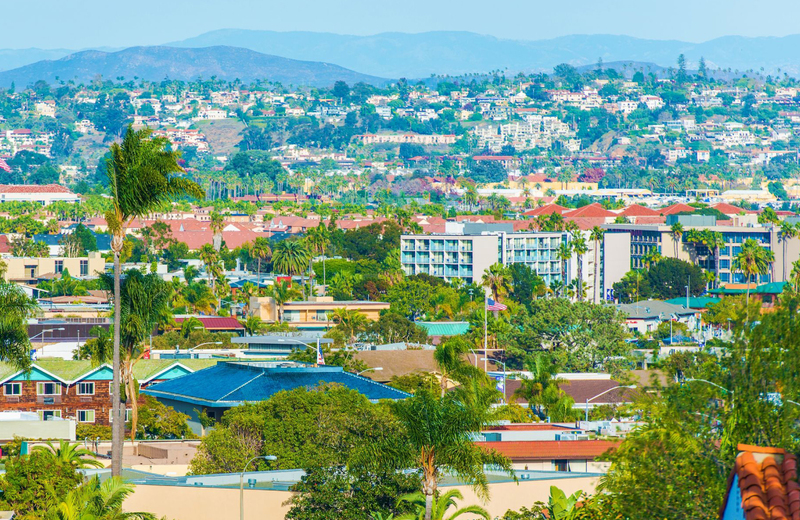 It's a blend of all things California, and perfect for those looking to live just outside the crazy metropolises. This is the Silicon Valley, one of the highest priced places in terms of real estate. Mountain View, on the other hand, seems as though it has been unaffected by these insane price hikes. That draws in families as well as educated college graduates. It's cheaper than neighboring Palo Alto or Los Altos, yet still offers its residents more than these higher priced locations. Being a tad more suburban, for lack of a better word, you'll find that you can ride your bike anywhere, take a leisurely stroll, or walk your dogs. There's a free shuttle that loops around the main spots, and many feel a better sense of security here than in the cities. Yet, Mountain View retains a city-esq feel with a decent nightlife, and a plethora of fantastic healthy food stores. (Check out the Milk Pail while you're there.) While it sounds too good to be true, believe it. Mountain View is a very unique place. If you are a high tech individual, then Mountain View is a great place to either get your career off the ground or stay up to date with the latest. The area provides jobs through Google, Microsoft, Samsung, Intuit, Synopsis, LinkedIn, Mozilla, Symantec, and is always filled with new and interesting start ups breaking into the industry. It's a great place to be if you are a techie, especially with Hacker Dojo. You see it on the television, you see it online, you see it everywhere! California is made to look like the sun never stops shining. Granted, we have an ample amount of fantastic weather, but we have rainy areas just like the rest of the country. Mountain View is not of those rainy places. In fact, it's a lot like what you see advertised. Year round our average temperatures stay between the 40's and the 80's, and rainfall is at a minimum. In fact, most residents claim to never have to use their AC! They just open their windows when it gets too hot and find their apartments cooling down in no time with some fresh air alone. Isn't that nice? When it comes to weather, Mountain View has some of the best in all of California due to it's location in the Bay Area. Where else can you find an average summer temp of 66 degrees? All of that makes the community fantastic, and certainly adds a lot to your lifestyle, but that is only one part of the whole picture. The homes here feature contemporary solid wood cabinetry that perfectly compliments the designer quartz countertops. Wood styled flooring creates a modern appeal, as do expansive windows that offer abundant natural lighting. Large balconies and terraces let you enjoy that perfect Bay Area weather. To top it all off, the use of green construction and eco-friendly materials have made this a certified GreenPoint rated community. There's nothing else quite like it! If you like the way living here sounds, then check out the apartments in Mountain View, CA. Close to the city, yet far enough to create it's own unique atmosphere, the San Fran Bay, hiking in the mountains, and a never ending list of things to do make this tech central one of the greatest places to live in California. Come join us, and see for yourself!